It is also called the top of the world with an average height of 4900 meters. The Himalayas are proudly towering upon the mountainous areas, making the scenery even more magical. Tibet is a truly spiritual place, perhaps here is the closest the nature and religion. 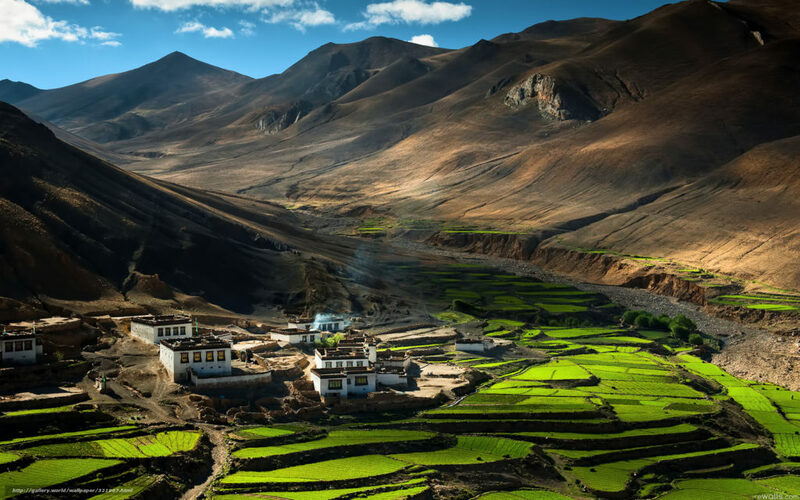 The incredible Tibetan monasteries perfectly fit into the great environment.Tibet is the highest point in the earth, Mount Everest (8848 m), located on the Nepali border. It is also famous for its wonderful mountain pods with turquoise water. Tibet’s history begins in the seventh century when Songtsan Gampo founded the Tibetan empire. Today, Tibet is an autonomous area of China.